by Alan Caruba, Contributing Author: I know that Thanksgiving is the day we are all supposed to review a list of all the things for which we should be thankful and surely each of us has a list, usually family and friends, and, patriotically, for being Americans. What makes this Thanksgiving different from those that have proceeded it is the reminder from President Obama that, in his opinion, America is not exceptional and, presumably, that means neither are we. I don’t think this nation has ever celebrated Thanksgiving when its President did not like America. We’ve had six Thanksgivings with Obama and each one has given us less for which to be thankful in terms of the economy and our national security. Consider the vast unemployment that exists nationwide thanks to his failure to bring an end to the Great Recession. Forty million will use food stamps to put food on the table. Nearly half of all Americans are receiving government benefits that are paid for by those thankful to have a job. Thanks to ObamaCare millions lost their healthcare plans and millions more will in 2015. There is nothing “affordable” in the Affordable Care Act including the billion dollars spent on its website. I think this Thanksgiving Day will have a different mood for the many Americans, especially who did not vote for President Obama or the Democratic Party. It is astounding to me that somewhere around 47% of those who presumably voted for him say they approve of his performance in office. After election results that rejected him and his party, Obama has told them that he is more interested in what the two-thirds of voters in the last election who stayed home had to say. He “heard” them, too. He apparently did not hear what those who voted to give power in the Senate to the GOP while adding more Republicans in the House had to say. Anyone paying any attention for the past six years knows that he doesn’t much care what any of us say and never has. He believes his job is to “transform” a nation that did not need any transforming. America was and is a beacon of freedom to the world. That beacon, however, has grown dim for our allies whose leaders can no longer trust him. It has become clear to our enemies that they can do what they want without paying a price. To drive home that message, he has been reducing our military to pre-World War II levels. Reluctantly he has increased our military presence in Iraq and will maintain troops in Afghanistan after making it clear that abandoning both of those nations to the Islamists was a major element of his foreign policy; if indeed he can be said to have a foreign policy other than retreat and isolation. Instead of addressing the growing threat of Islamic fascism, Obama is talking about “climate change” as the great threat when, except for the idiots that believe anything he says anymore, people with any intelligence knows that there is nothing anyone can do regarding the climate. The only people who believe there’s any global warming haven’t been paying any attention for the last nineteen years in which the Earth has been in a predictable, natural cooling cycle, just like the Sun. Closer to home, the White House just released plans for 3,415 regulations, the worst of which are from the Environmental Protection Agency that is destroying our nation’s ability to generate electricity, the one energy on which we all depend. At the same time, the President has just returned from China having signed an agreement to reduce “gashouse emissions” when such a reduction has no basis in science or logic, but translates into higher costs for electricity. A national holiday should celebrate the ideals of our founding, but this year’s Thanksgiving occurs as the federal government grows ever larger and the amount of regulation of every aspect of our lives and the economy grows with it. This is the exact opposition of what the Founding Fathers intended. Those Founding Fathers came together to wage a revolution against England’s King George III, a monarch whose commands they did not want to obey any more. This year’s Thanksgiving occurs as Congress is being challenged by a President who wants to ignore the separation of powers in the Constitution and the limits on executive powers. 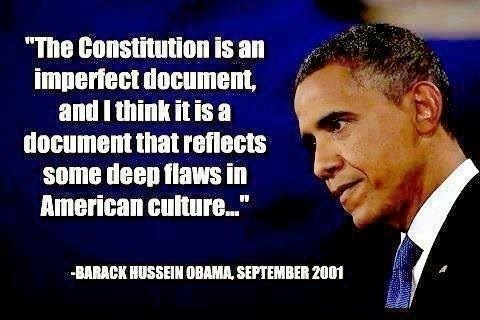 His intention to alter the current immigration laws is totally unconstitutional and must be stopped by every legal means available. This Thanksgiving America is a less free nation in which a tsunami of regulations and laws continues to reduce our fundamental freedoms. This Thanksgiving, America is a nation that is losing the respect of other nations. This Thanksgiving, we face two more years of a lawless President who threatens the Constitution. We have two more Thanksgiving Days before we turn America around and restore it to the great nation it was. Alan Caruba is a writer by profession; has authored several books, and writes a daily column, Warning Signs. He is a contributor to the ARRA News Service. Tags: Thanks, But no thanks, America, less free nation, regulations, laws, deduced freedoms, Thanksgiving Day, Alan Caruba, warning signs To share or post to your site, click on "Post Link". Please mention / link to the ARRA News Service. and "Like" Facebook Page - Thanks!